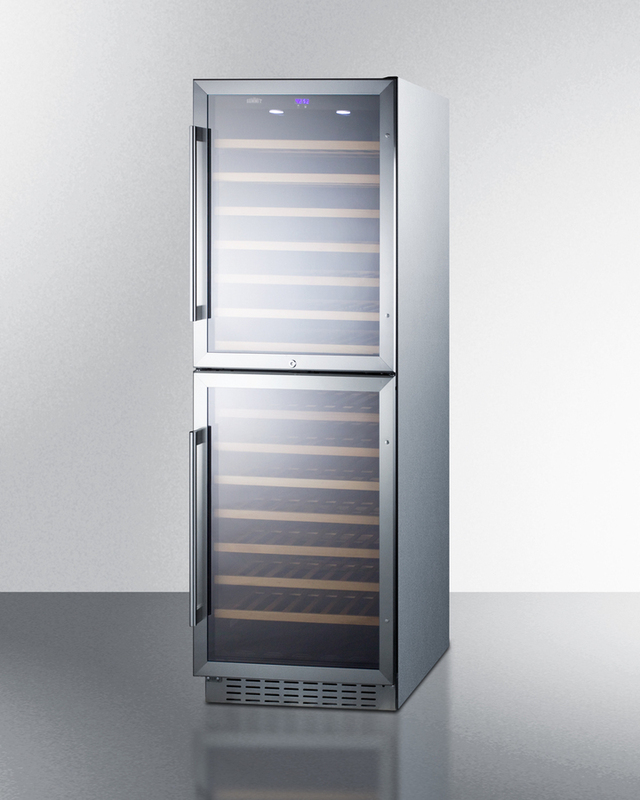 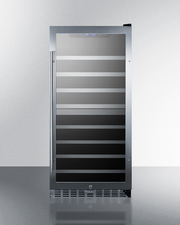 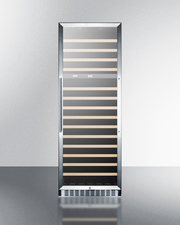 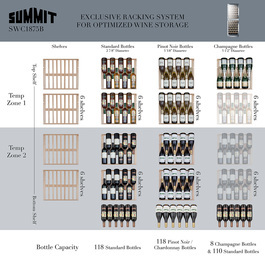 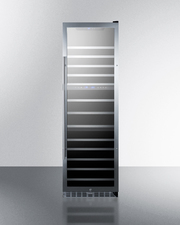 SUMMIT SWC1875BCSS is a built-in capable two-zone wine cellar designed to store up to 118 bottles. 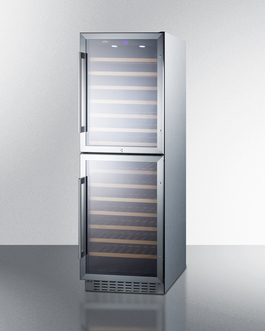 Sized with a convenient 24" footprint, the SWC1875BCSS features a front-breathing system for built-in installation and a fully finished stainless steel wrapped to cabinet to also allow freestanding use. The two separate temperature zones include their own reversible stainless steel trimmed glass door, with pro style handles and front locks for added security. 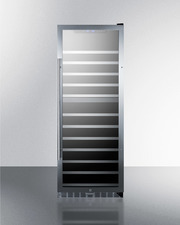 A stainless steel kickplate completes the professional look. 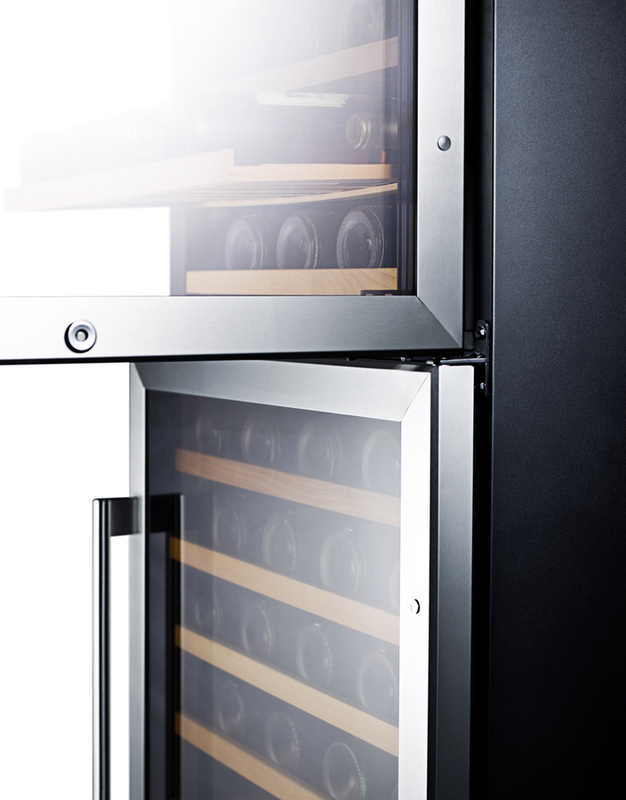 Inside, the SWC1875BCSS includes 14 slide-out wooden shelves to properly hold bottles. 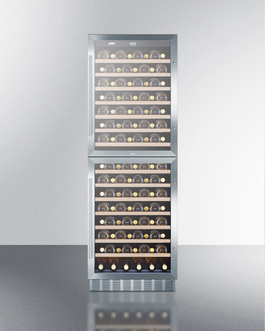 White and sparkling wine is best stored in the upper compartment, with reds preserved at a warmeer temperature below. 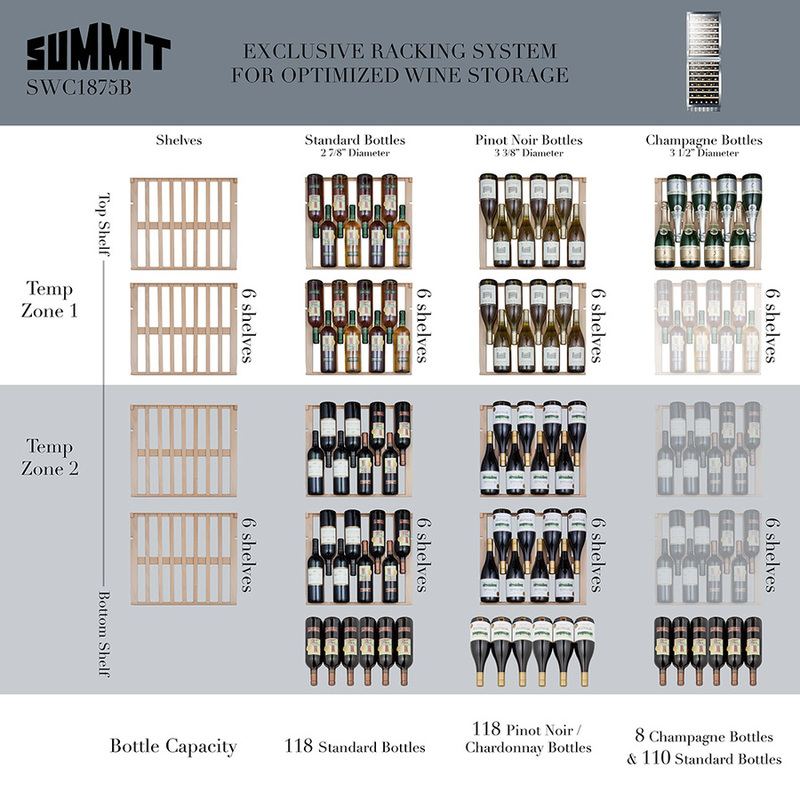 Store up to 118 standard 750ml Bordeaux style bottles, or 118 wider Burgundy style bottles (generally used for Chardonnay or Pinot Noir). If storing champagne, the top shelf can hold 8 bottles. Recessed LED lighting offers an attractive and efficient display and the digital thermostat ensures easy and intuitive temperature management. 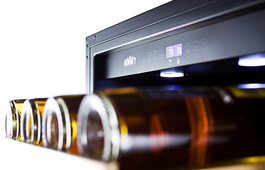 The temperature can be displayed in Celsius or Fahrenheit for added convenience. 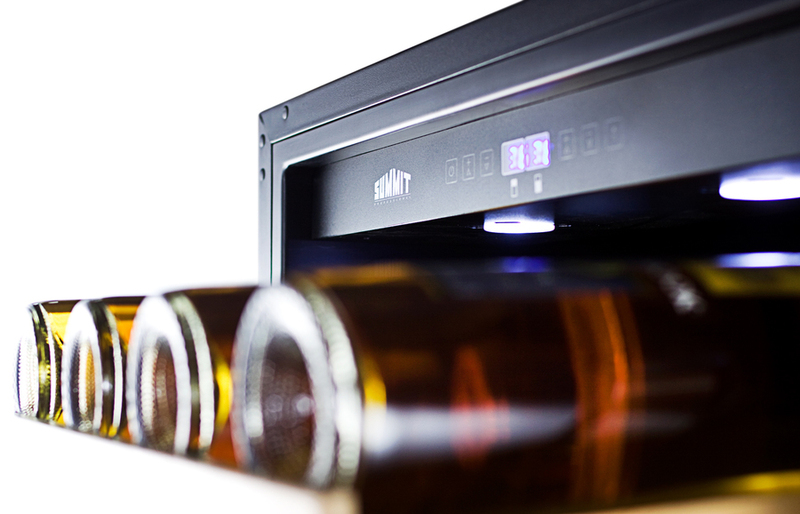 With its user-friendly features and elegant design, the SWC1875BCSS is the perfect way to keep your collection stored and displayed at its best.